invite Rihanna = in Vajrayana. Darn phones. I enjoyed that. Thanks for the laugh. I was wondering how Rihanna wandered into this thread . . .
"The duration of one whole fortunate kalpa Is just one day in Sukhavati." I think it just seems that way, because there are no women there. Maybe a kalpa passes like a day with all the quiet contentment. That interpretation has its merits as well. Jesus was a Jewish spiritual teacher and healer in the Greek speaking world during the Imperial Period of Rome. He had the spiritual backing of John the Baptist who was an influential Jew who some considered to be a prophet. The teachings of Jesus seemed to be heavily influenced mainly by the Pharisees, though he took some things a little bit further than they did. After becoming angry and sacking the temple in Jerusalem during Passover, things went downhill for Jesus. Since Jesus was from Galilee, Pontias Pilote, the Roman governor of Judea where the temple of Jerusalem was, in an act of political goodwill, sent Jesus over to Herod who was the local ruler of Galilee under Roman rule. Herod - probably also in a political move - sent Jesus back to Pontias Pilote since he was the Roman governor of Judea, saying the Romans should deal with him. Pontias Pilote then had Jesus crucified without trial as Jesus was technically not a Roman citizen since he was from Galilee (although if he was from Judea he would have been and would have been afforded a trial, as Paul was before he was eventually executed in Rome under Nero). Different accounts of the life of Jesus and what happened after his death circulated in the Christian world, but only four of these made it into the official New Testament put together roughly 270 years after the death of Jesus. After his death, his disciples deified Jesus, and started to believe that he was a Jewish Messiah who had been prophesized as a savior of the Jews (not of all people but only of the Jews). A small group of Jews followed Christianity at that time led mainly by James, Peter, and other Apostles. It was not until Paul, who had never met Jesus while he was alive, had spiritual revelations of Jesus that things really began to change. Paul believed Jesus had instructed him to spread his message all over, and that Jesus had made a new covenant with all humans. God's old covenant with the Jewish people was now replaced by Jesus's covenant with all mankind, as he was the savior of all humanity. This was found controversial by the early Christians and they did not immediately accept it, but Paul won the day at the Council of Jerusalem around 49 CE. Thus began the spread of Christianity outside of the Jewish community, based largely on Paul's revelations. This movement still remained very small, and as mentioned earlier, Paul was beheaded after a trial in Rome under the Roman Emperor Nero. Christianity was a fringe religion of the day, as it venerated Jesus, a Roman criminal who was killed under Roman rule. Nevertheless, Christianity was allowed to survive because it was so small, not recognized by the majority of Jews, and posed no real political threats to Rome. Slowly, Christianity began it's spread, eventually being afforded protection by the Emperor Constantine through the Edict of Milan in 313 CE. So, from what I understand, wrong view is a barrier to realization, and this is why non-Buddhists are said to be out of luck. However, is it not characteristic of human experience that view, like all thoughts/concepts/mental stances, is intermittent? We may have a deeper felt sense of that wrong view being true, but that conviction and its associated emotions are also intermittent. No view is held consistently at all times, but is regularly punctuated by nonconceptual gaps. And one's view may shift subtly or drastically in the course of moments, minutes, hours, days, months, years . . .
Now, why could not a non-Buddhist taste the true nature of self and things in a nonconceptual gap? If emptiness is not itself a conceptual construct, shouldn't an uninstructed person be able to encounter it? And suppose a formally Christian, Jewish, or whatever person does study Buddhist philosophy and then has a spontaneous realization of emptiness in their direct experience. Why should they then go to the trouble of formal refuge? Why need they affiliate or disaffiliate from any institution? They have awakened in their own mind without any of those outward trappings, and have all they need to live a liberated life if they are sufficiently discerning. We have so many classic descriptions of how liberation works. My gut tells me that there actually aren't any rules, and the conceptual maps were invented after the fact in an attempt to explain how liberation occurred. Perhaps awakening and liberation can't actually be systematized. Any systematization is not quite right, and by following that systematized process you aren't doing what the original realizer did. The imitation has to give way to the course appropriate to your own particular body-energy-mind configuration, and you can't expect it to match the canonical charts. Trying to get it to match those charts may even be a barrier to realization. What is undoubtedly real is the benefit of being in the company of realized beings. But perhaps it isn't indispensable, and we err in assuming it to be so. We should not rule out the potential for beings to awaken in ways that do not accord with our schemas, however definitive we believe them to be. The need to foreclose such possibilities is characteristic of human institutions fashioned by conditioned mind, but not of awakened mind that knows no limitations. Look, you are here arguing from a.) emotion, and b.) uneducated personal opinion (i.e., ignorance), and you're placing more value on emotion and your own uneducated personal opinion, over that of the Buddhadharma. You go on and on about this stuff, placing more value in your own ideas over that of the Buddha's teachings. You repeat things that are rejected by the Buddha and not to mention rejected by the Dzogchen tantras. How utterly arrogant. It's astounding really. Who are you to say these things? To basically argue that the Buddha was mistaken, and that there are mistakes in the Buddhadharma. Because that's what you're doing now. "View informing realization" means your underlying assumptions about mind and reality in general will more often than not, color your experiential insights. Realizations will conform to presuppositions. Take the Advaitan who takes the passive knowing witness to be an ultimately substantial background substrate. That apparent attribute is assumed to be an unerring and unassailable characteristic of consciousness, and said practitioner will use that characteristic as an anchor in their practice, which will then be refined into its purest form as what the Advaitan considers to be their ultimate purusa. For Buddhists, that same characteristic (revered by the Advaitan) is considered to be an afflictive byproduct of delusion. It is seen as faulty, ultimately erroneous and an obscuration. Jigme Lingpa, for example, states that those who mistake that substrate and its strata as definitive and something to be cultivated are "like blind men wandering in the desert without a guide." Thus, even inferentially, our view can influence the way our path unfolds and will then lead to a different result. Considering an initial instance of awakening, in whatever form, to qualify as "all one needs" in order to be liberated is a very misguided assertion. Especially if said individual merely stumbles into that insight without any support system. This is a good point. But is it not equally true that our experiential insights may lead us to revise or abandon previously held views? It is surely the experience of many that they let go of or modified some view on the basis of insight? Such deepening or ripening of insight is, presumably, what guided the development of progressively more subtle views of emptiness, aside from the outcomes of debate and political machinations. I don't mean that that the initial awakening experience is all they need, but that in each of us are all the resources and capacity we need to develop that initial glimpse into full and sustained realization. Whether we figure that out is another matter. Obviously, the overwhelming majority who succeed in so doing benefit from the guidance of a living master. But some fortunate few awaken without. Attribute it to past-life merit if you will, or to the guidance of great masters who appear in the minds of beings through dreams, visions, and so on. Certainly, it would be foolish to expect such blessings to arise in one's own case; it definitely isn't my experience. But such accounts are found in the Indo-Tibetan tradition: of awakening through the guidance of masters not met in the flesh, and of students who are instantly liberated upon their first awakening. Such instances don't undermine the need for most of us to be guided by realized teachers, but they do affirm the principle that awakening is intrinsic to our nature and without limits. But is it not equally true that our experiential insights may lead us to revise or abandon previously held views? However there are also cases where the paths we become involved with either (i) experientially cultivate the very assumptions we enter them with, or (ii) experientially cultivate the assumptions we are taught. And so "right view" becomes important. It is possible for initial awakening to occur without a support system, but no one is becoming liberated without a support system, meaning a qualified teacher, the correct teachings and expert guidance. Those who reach non-regressive liberation instantly, like cig car bas, are no longer present in this degenerate age. You are objecting on the basis of attachment to such and such a formulation that you consider to be beyond examination. That attachment also, presumably, has an emotional basis. If I'm uneducated, so be it. Education happens by questioning and exploring. If one does not investigate the standard answers, with a willingness to seriously consider alternatives, learning does not occur. One should not foreclose learning in the name of propriety. To do so is not conducive to insight, either mundane or liberating. I'm not interested in fabricating a view according to my own whims, nor in assenting to any doctrine that I haven't confirmed experientially. My chief concern is to find out how reality is independent of my concepts about it. Provisionally, I suspect that the Dzogchen view best evokes that reality of all views. But I don't accept any conceptual framework as definitive, whatever its pedigree. It is you who are reading value judgments into this. When I write these things, it is as an exploration. I don't claim that what I write has any more validity than what is said by the Buddha, the tantras, or any other source. It would be arrogant of me to claim that my own ideas have the authority of such time-tested sources, but that is your own misreading of what I am doing. I also certainly don't adhere to the absurd idea common in contemporary Western culture that everyone's perspective is equally valid. I am here to clarify my thinking about these questions, which is what forums like this are presumably for. We each have a responsibility to clarify our view, and that doesn't happen without a willingness to try on most anything. If a scripture says something, we should be aware of that, but to accept it on that basis alone is to substitute a socioculturally validated concept for the actuality the concept is meant to evoke. It is not Buddhist praxis to assent to things merely because they are attributed to a prestigious teacher. Liberating teachings aren't meant to be etched in stone, though there's nothing wrong with a nice etching. 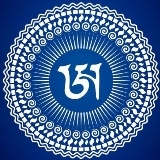 Their primary purpose is to support one's own recognition, for the benefit of all beings. No matter how sharp is our knowledge of precedent, our own liberation is unprecedented. So, that's what we have to be interested in. Until fully realized and liberated ourselves, we can't know which teachings are definitive. We are all making our best educated (or uneducated) guess on the basis of whatever we have realized up to now. Even our decisions about which authorities to trust manifestly depend on our own minds and realization (or lack thereof)! And suppose a formally Christian, Jewish, or whatever person does study Buddhist philosophy and then has a spontaneous realization of emptiness in their direct experience. not possible. now ask why. Actually, though. There are many people whose adherence to Christian doctrine, for example, is really quite shallow. Such people don't have a strong conviction in the eternalist view they learned by rote as catechism, so they might be ready to abandon it after their first taste of emptiness. There are millions of people in our culture who fit that description. For many, continued adherence to Christianity is a mere vestige, and it doesn't have a determining role in how they order and interpret their perceptual experience. Why not just explain your reasoning? The why is: unless one understands dependent origination as the Buddha taught it, one will not realize emptiness. Do Theravada and Mahayana understand dependent origination same way? unless one understands dependent origination as the Buddha taught it, one will not realize emptiness. But isn't Dependant Origination just a logical conclusion ? I'd say it's scientific logic...maybe physics ? Maybe it takes a genius to figure out ?